These are ideal places to network and everyone should start the year taking time travelling to work! These are a few places you can choose to go in January…..
or you can go for Austria, taking a look at Ferien Messe Wien – leading public access tourism trade fair, which also allows you entry to the Vienna Autoshow and to Cook & Look . If you miss this you can always return to that part of the world at the end of the month and visit Geneve for PALEXPO from the 24-26. If you prefer to travel south to Madrid from 22 to 26, there is the 34th FITUR International Tourism Fair and FITUR GREEN, proposing comprehensive strategies for sustainable tourism destinations as well as INVESTOUR, the V Tourism investment and Business Forum for Africa. FITUR last year had nearly 10,000 exhibitors from 167 countries and had over 100,000 trade visitors. This shows the upward trend in the business and it continues to be the leading trade fair for inbound and outbound Ibero American markets. or travel west to California (17-19) and try the Los Angeles Times Travel Show, bringing you everything from safari adventures to scuba diving, wind surfing to wine tours and archaeological excursions to luxury goods and services or pop over to the Travel and Adventure Show in San Francisco (25-26). And if you feel like travelling afar try the ASEAN Tourism Forum (ATF), where Asian hospitality and cultural diversity reign. The forum will be held this year in Sarawak, Malaysia from the 16th to 23rd. If you want to go over to February, try Earls Court in London, 4-5 February, for the 20th anniversary of the London Business Travel Show, gathering over 6,000 travel professionals this year. You can also pop over to Italy 13-15 February for BIT. It is the reference point for the international travel industry in Milan for trade professionals in the tourism sector. This year Bit has reserved 3 full days of exclusive business, with direct access for trade operators, leaving the last day of the exhibition to the mixed target, trade and consumer. 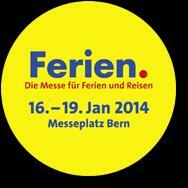 Or go to Bavaria mid-Feb – 19-23 – try Munich for the Fair for Leisure and Travel. f.re.e is the new name for the popular fair C-B-R Leisure and Travel catering for 110,000 visitors with 1,100 exhibitors from over 60 countries. 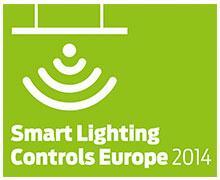 For the end of the month of February get to know all there is to know about controlling lighting in your premises by going to London and visiting Smart Lighting Controls Europe 2014. Think GREEN when you travel in 2014 and choose our Five-Leaf System members to organize your trips, to guide you or to find you a sustainable place to stay!